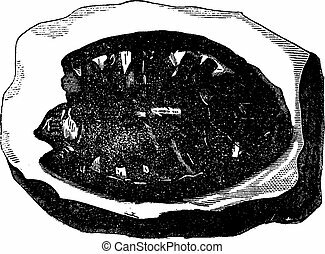 Cephalopod ammonites of the cretaceous period, vintage engraving. 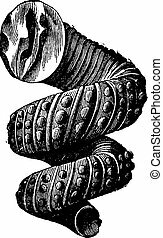 Cephalopod ammonites of the cretaceous period, vintage engraved illustration. earth before man – 1886. 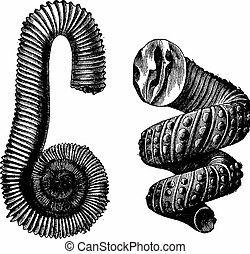 Cephalopod Ammonites Of The Cretaceous Period, Vintage Engraving. 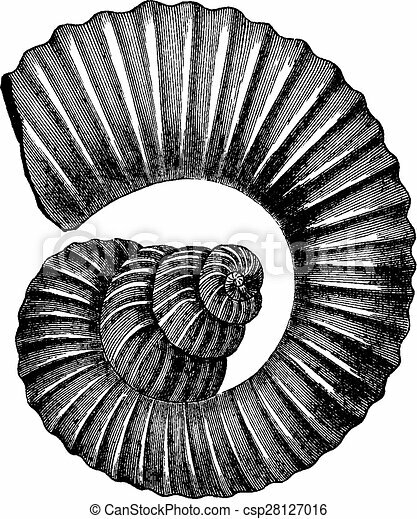 Cephalopod ammonites of the Cretaceous period, vintage engraved illustration. Earth before man – 1886. Belemnites or Belemnoids, vintage engraving. 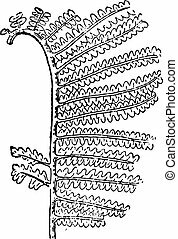 Old engraved illustration of Belemnites. 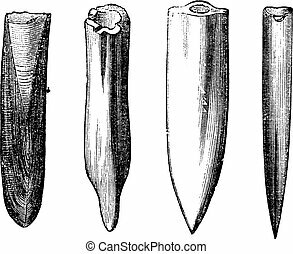 Belemnite Fossils, vintage engraving. 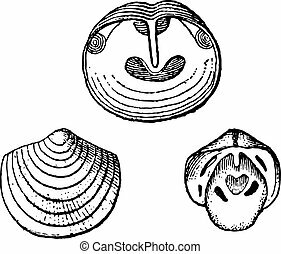 Old engraved illustration of Belemnite Fossils showing various shapes of the guard (rear end) part of the organism: (left to right) moderately acute, mucronate, acute, very acute. 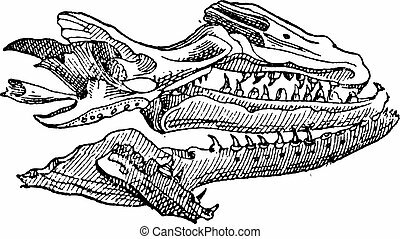 Fossil turtles of the Cretaceous period, vintage engraved illustration. Earth before man – 1886. 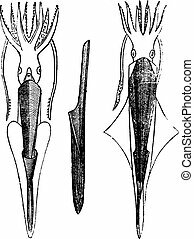 Belemnites of the Cretaceous, vintage engraved illustration. Earth before man – 1886. 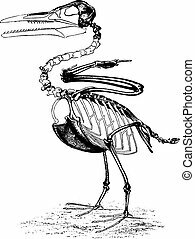 The toothed birds of the Cretaceous period, Ichthyornis Victor of North America, vintage engraved illustration. Earth before man – 1886. 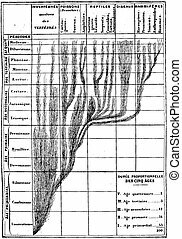 Correspondence between the development of the animal and the succession of geological epochs, vintage engraved illustration. Earth before man – 1886.